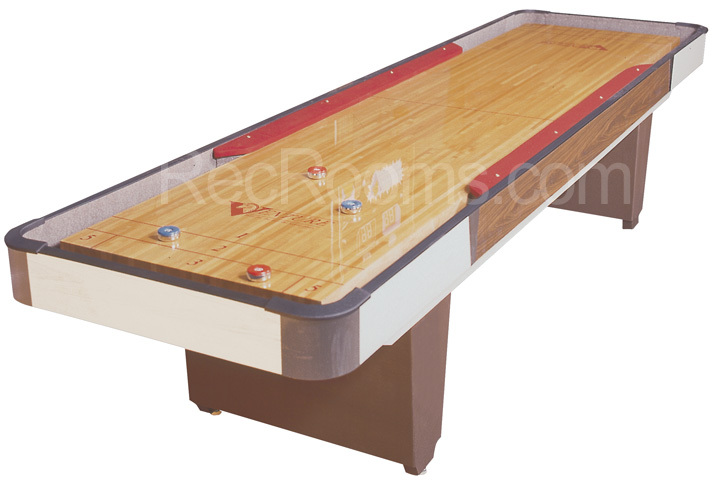 Truely a favorite among shuffleboard players with the added challenge of using cushions. 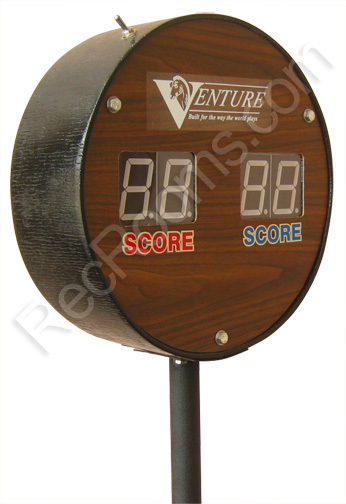 The game offers a skillful competitive edge with all the fun of the long boards. .
Hard rock maple playing surface is coated seven times with a hard clear synthetic lacquer, for ultimate durability and smoothness. Playfield markings are silk screened before the lacquer coating. Cradle is built out of 3/4" Fir plywood and covered with high pressure laminate. 1-Piece cradle comes with the playfield attached. The bottom of the gutters are tongue and grooved into the sides of the frame for additional strength. Climatic adjusters keep the playfield true. Tapered pedestal type legs with threaded rubber-padded levelers. One year warranty on parts. Tired of jumping from page to page to compare each of the tables? 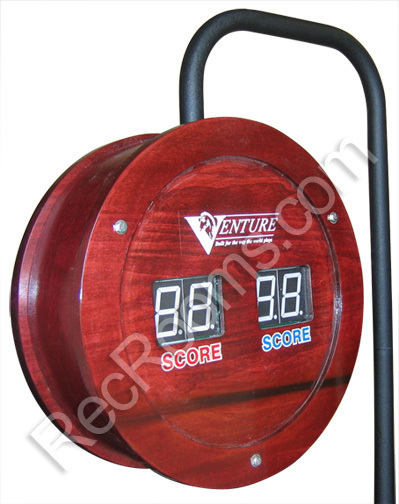 Check out our Shuffleboard Comparison Chart. Click HERE to learn How to Play Table Shuffleboard. 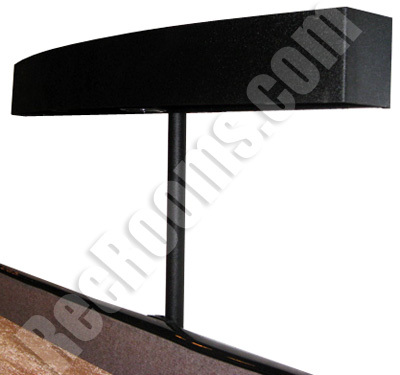 Tables are built to order and require a 3-4 week production lead time. Curbside shipping is included in the below prices. Set of two (2) lights for the Venture shuffleboard tables.